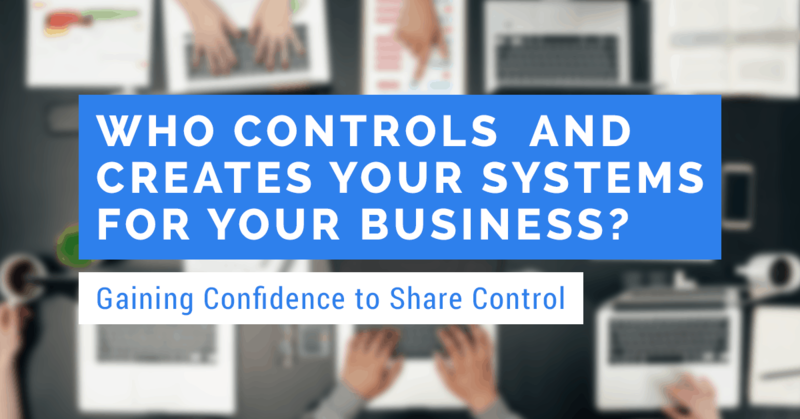 Who Should Create Your Business Systems? Systems for business are fantastic. They’re not just useful for keeping everyone on the same page. They’re also adept at creating that extra bit of push to productivity you deserve. 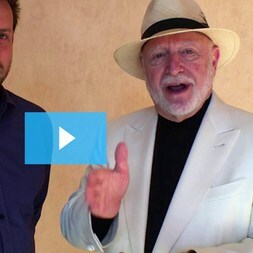 Your team will need a guide and a systems setup they can rely upon day to day. Similarly, you’ll need to be able to rely on systems that can do much of your work for you. However, learning to lessen your grip here is vital. We’ve looked a little bit at micro-management in the past. When it comes to systems culture and small business, the role of the manager – or the boss – diminishes a little, but to a positive extent. Systems take an awful lot off your plate, and therefore supply you with more time to attend to other matters. You’ll be tempted to keep close tabs on your team and what’s underway, but you won’t need to. 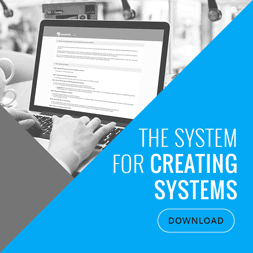 With all of this in mind, is it necessarily your job to create and maintain systems? You may well assume so, but it’s likely better that you stay at arms’ length. Once again, delegation is key! Just because you manage a team, doesn’t mean you have to monitor and manage all the systems yourself. In this article, we’ll look briefly at why delegation of system creation and control is probably going to be more beneficial to your overall running. Simply too busy to create and run your own systems? Why can’t someone else do it? Then, this guy calls me up about two weeks ago, just prior to the event. He said he was in the original SYSTEMology® group, we worked together for three or four months, and he said, look I haven’t had much of a chance to apply this system stuff. I thought it was really really good. But I was thinking maybe I’ll come to the event as a bit of a refresher and then I’ll give it a go again. I said, no, you’re not welcome. We don’t want you in the room. Who can you send in your place? So Ziggy sent Leicester to go through this, to be his systems’ champion because Ziggy is too on the tools and that’s okay. That’s what business owners do. Systems are important, but you need someone else to be able to work on it. The whole key of this step is to remove the business owner from the process. They’ll do more harm than good. So we talked about that, the perfect criteria. The sweet spot between sort of 5 and 50 staff is what you’re looking at. You’re already looking at having something that’s got a bit of traction, an existing established business; then you’re an ideal candidate for systems. Just recognise that yes, you are busy. You’re always going to busy. Recognise that even if you get your team to do this, they’re most likely going to make mistakes. They’re going to foul it up. There are going to be things where you think, I could have done that better myself and that will happen, and that’s okay. That’s just part of the process. You’ve grown your business to one size. Now, it’s time to grow it to the next size. You are the bottleneck. The problem is when people think about systems; they think they’re the ones who are going to need to implement the systems, but they want systems because they don’t have enough space or time. They think, why don’t I do more stuff and reduce the space that I do have, do more of systems and processes which I know are important but not urgent. I probably won’t get around to it anyway because I’m the one, I’ve got this ego that thinks I have to be the one that solves the problem. That’s what we have to bust here. You are the worst person to be doing the systems and the processes. We have to get it off over to the team. Find your systems’ champion. Like I said, there are a few astute business owners in here who have sent people: Cain, Dana, Leicester. So a few people have actually sent their systems’ champion to attend the event to learn this. So hopefully they can understand a little bit more why is my boss so crazy and how can I help them be a little bit less crazy? The business owner knows the end picture. They just need help, and that’s what you’re here to do, to help. The hardest thing, the most important thing that they want to have happen, you’ve been entrusted to do that, and it’s incredibly important. Whether you are making the most of SYSTEMology® or systemHUB, you’re not always going to be the one behind the wheel. And that’s ok! It is always worth remembering that there are brilliant people around you to help. When it comes to creating systems, the best thing you can do is ease off. You don’t have to ease off completely. After all, it’s your business and your team. However, you are going to need to recognise when and where to delegate for the sake of your health and for the health of your team and workload. Systems for business exist to make your lives easier. It’s understandable you may still wish to retain a modicum of control. However, delegating can do far more good than harm. Well-positioned systems for small business can help to make all the difference from end to end. You simply need to find the right, reliable systems champion to take the lead. You have control of the overall business ethos and the targets you’ve set. However, when it comes to the physical machinations, it’s high time you relied upon the amazing talent you have around you. They will be able to create, implement and tweak systems for you. What’s more, they should be able to work on your behalf. You should be confident to let them do so! Why not connect with us? Do you have any delegation stories you’d like to share? We’d love to hear from you.